Chase AV Direct UK sells a wide assortment of TV ceiling brackets. 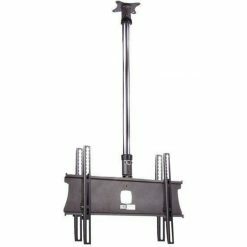 These ceiling TV brackets offer an alternative mounting solution from wall mounts. Since this LCD ceiling bracket is mounted from above, it will also allow the opportunity to suit larger commercial spaces, such as seminars, waiting lounges and shopping centres. The TV ceiling mount will also come in handy when wall mounting is unsuitable. They have a variety of drop measurements to achieve optimal viewing. 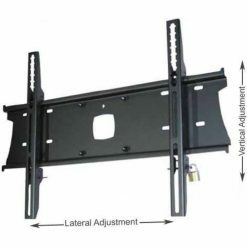 This LCD TV ceiling bracket comes with the appropriate hardware for installation on the ceiling and a wide variety of LED televisions. They come in different sizes, as well as silver or black.